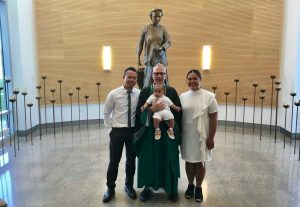 Last Saturday, June 30th, we celebrated the Sacrament of Baptism of two children in our parish family. 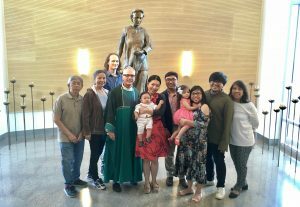 Baby Gian Jeremy and Baby Kobe Anthony were baptized into the life, death and resurrection of our Lord Jesus Christ. For some, witnessing a full immersion baptism was a new experience. Registered parishioners interested in Baptism should contact the parish office or see Fr. Darrin after a Sunday liturgy.